“…but I made it go ‘beep’ ‘beep!’” One of my first conversations in The Kingdom of the Netherlands involved me explaining to a ticket inspector that I thought I had properly activated my train ticket (of which I did not). 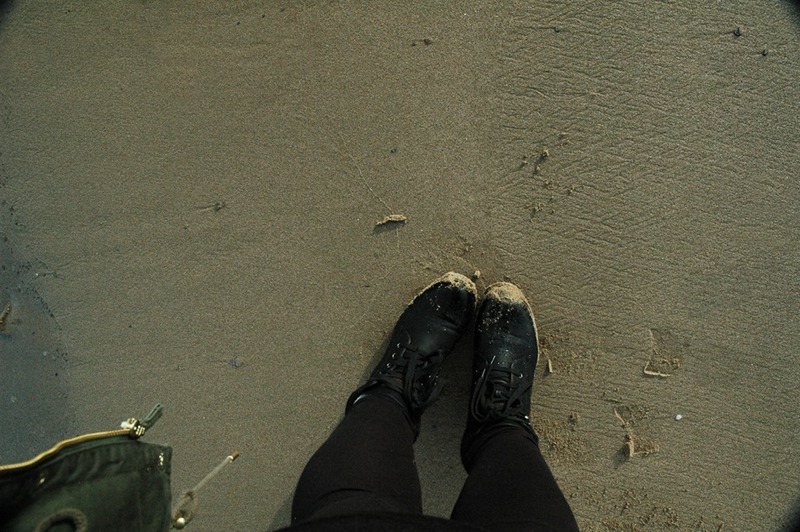 My obvious eloquence got me out of trouble – he just laughed, shook his head, and moved on. I was on a train from Rotterdam to ‘s-Hertogenbosch (more commonly referred to as Den Bosch), where my friend Elena and her boyfriend Erik were to pick me up. Elena, one of my favorite travel companions and friends, has accompanied me to Slovakia and Sweden. 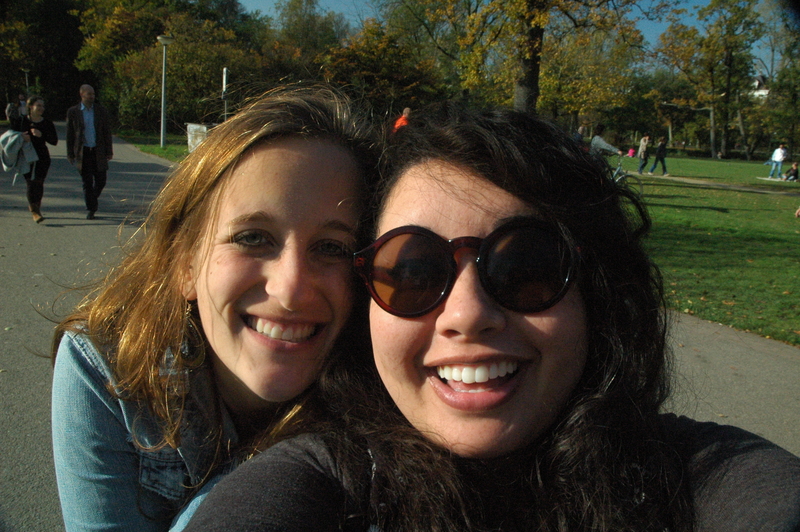 She recently moved from Hungary to the Netherlands, so I took my allotted time off for the autumn holiday to visit her. Upon arriving at her house in Rossum, a small town north of ‘s-Hertogenbosch, I was presented with stroopwafels (syrup waffles). If you have not tried a stroopwafel yet, find a way. I ate two packages of twelve in a few days. The delicious zucchini pizzas I made for dinner fade in the glory of these beautiful snacks. The next morning I woke up with a massively swollen eyelid which made me resemble Quasimodo. Unfortunately I lost my glasses back in March, so I had to go without contacts/vision and makeup for the day. 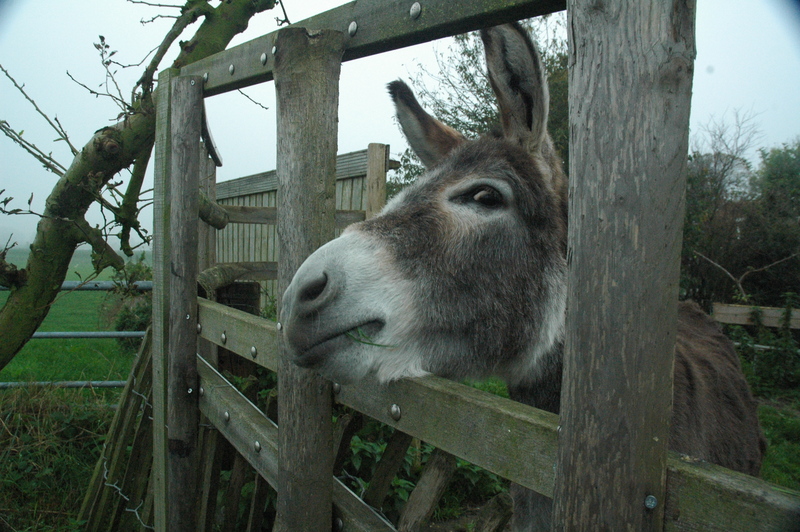 We walked around her village, fed ducks and a donkey, and stopped to gaze upon an expanse of green grass that was so picturesque I almost cried. 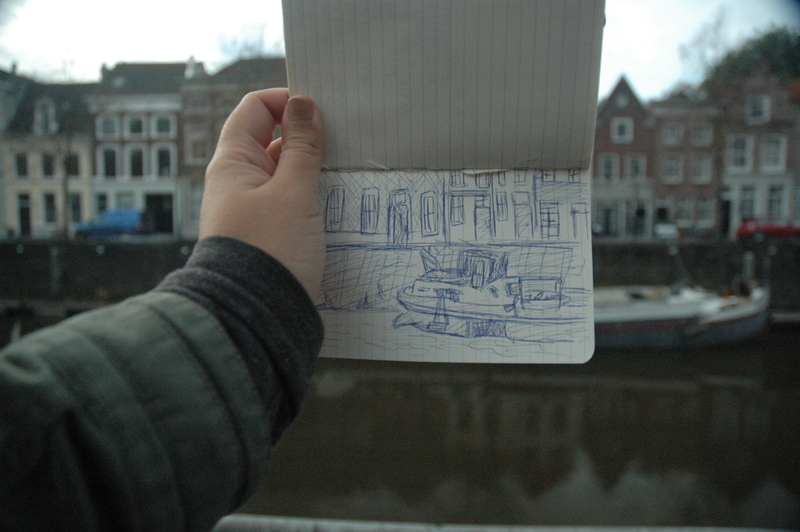 Eventually we hopped on a bus to Den Bosch because Elena had to attend a language class. 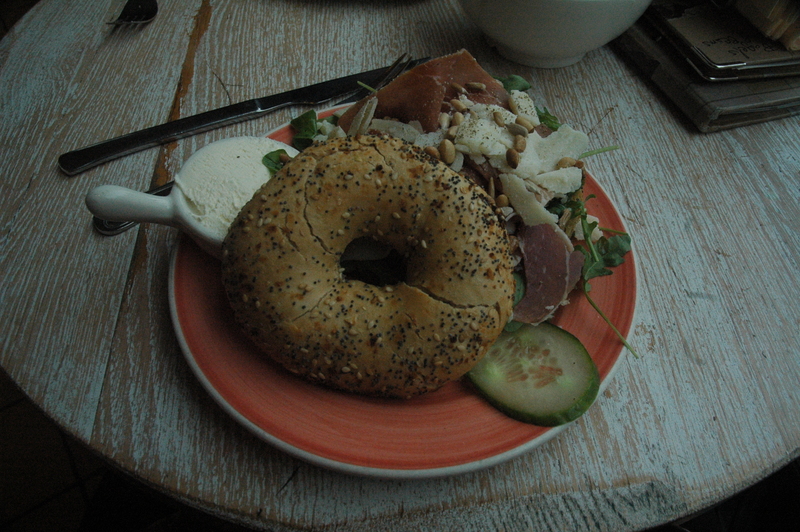 After eating the best bagel I have ever consumed at Bagels & Beans, we went our separate ways for a few hours. The historic fortified city of ‘s-hertogenbosch (translation: “the Duke’s forest” – Henry I, Duke of Brabant), was first given city rights in late 12th century. 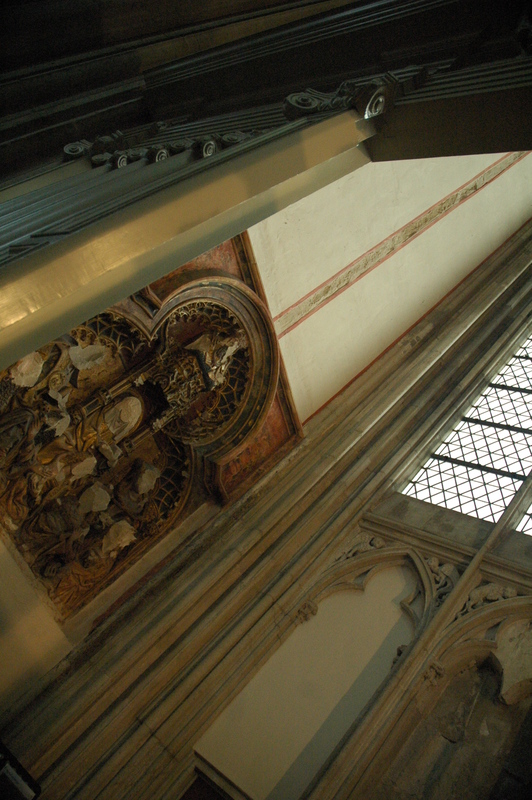 One of its main attractions is St. John’s Cathedral (Sint-Janskathedraal), built in the 13th century. Ton Mooy, a sculpture involved in the church’s restoration, included an angel wearing jeans and holding a mobile phone. Fascinating, I know. The “glasses game” of the Dutch = on point. I walked in a few stores to try on glasses and found several pairs that were made for me. Hungary, you know I love you, but step up your game! I beg of you! Before heading back to the village, Elena treated me to a Bossche bol at Banketbakkerij Jan de Groot. It is essentially a cream puff filled with whipped cream and covered with chocolate. Quick scribble of my surroundings. 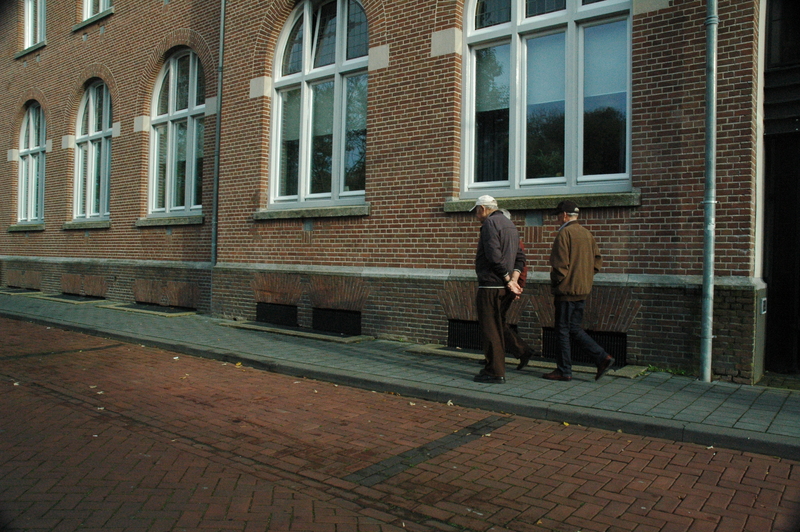 The next day we made our way to Utrecht, the fourth largest city in the country. 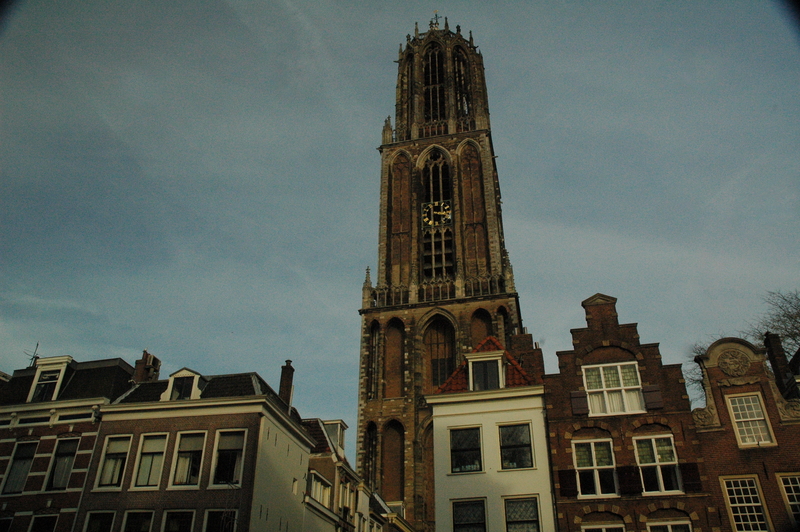 The city surrounds the Dom Tower (Domtoren), the tallest church tower in the Netherlands. The Dom Tower used to be part of the Cathedral of Saint Martin/Dom Church (Domkerk), but became freestanding after a tornado destroyed the nave in 1674. In the 16th century, the altarpieces in the church were destroyed by iconoclasts during the Iconoclastic Fury (Beeldenstorm). 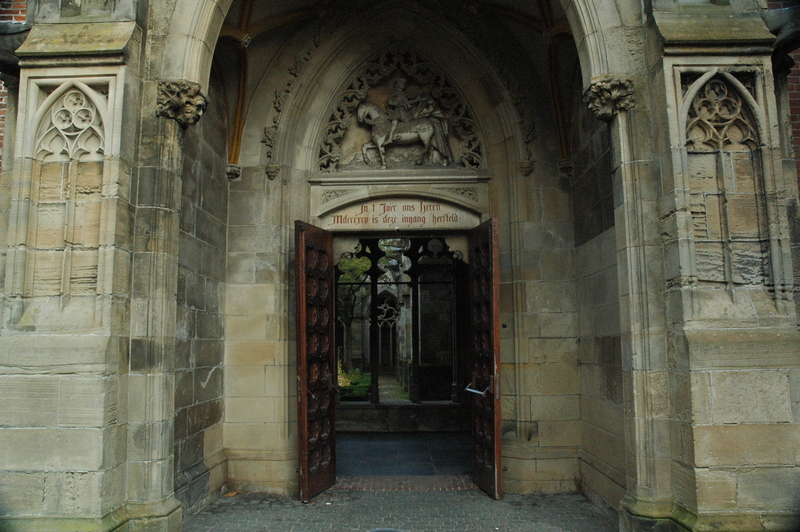 Entrance to the church garden. After checking out the church and tower and most of the city center, we went to McDonald’s (before you judge me, wait for the explanation) to get Stroopwafel McFlurries! Worth it. The 2015 Tour de France is scheduled to start in Utrecht on July 4th. I have now been to four out of the six cities in the Netherlands that this race has started/will start in: Amsterdam (1954), ‘s-Hertogenbosch (1996), Rotterdam (2010), and Utrecht (2015). Whilst on the topic of bicycles, I must state now that the common perception of bikes being everywhere in the Netherlands is indeed correct. It is as if people cycled out of the womb. Not only must a pedestrian be wary of cars, but bikes as well. 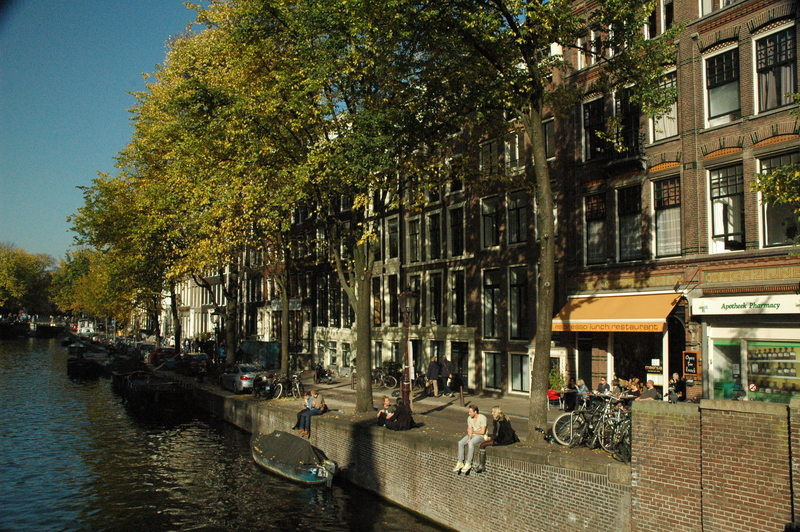 58% of Amsterdam’s population cycles daily. 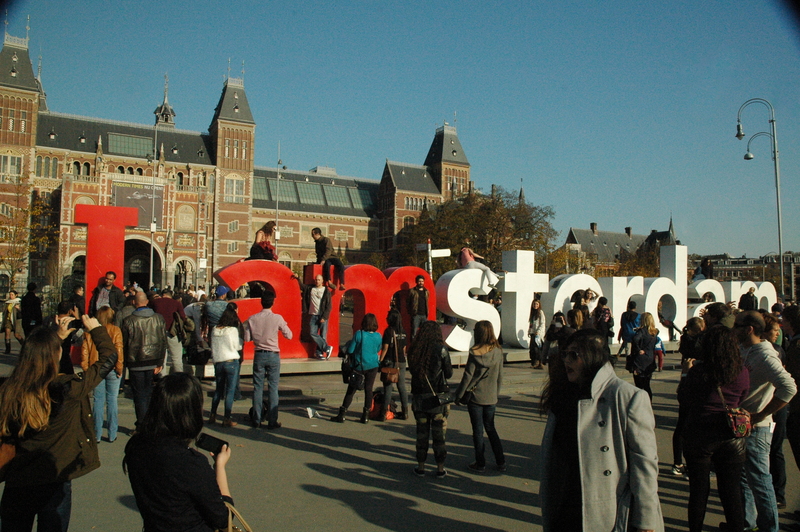 My final full day in the Netherlands was spent in the capital, Amsterdam. 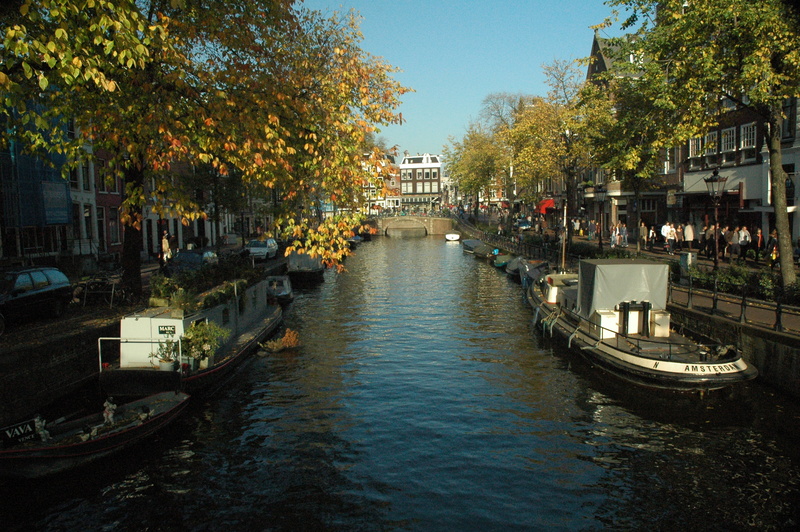 In the late 12th century, this now booming city was just a small fishing village on the banks of the Amstel River. In the 17th century, the Dutch Golden Age occurred: both the Dutch East India Company and the Dutch West India Company were founded and Amsterdam became of the wealthiest cities in the world. 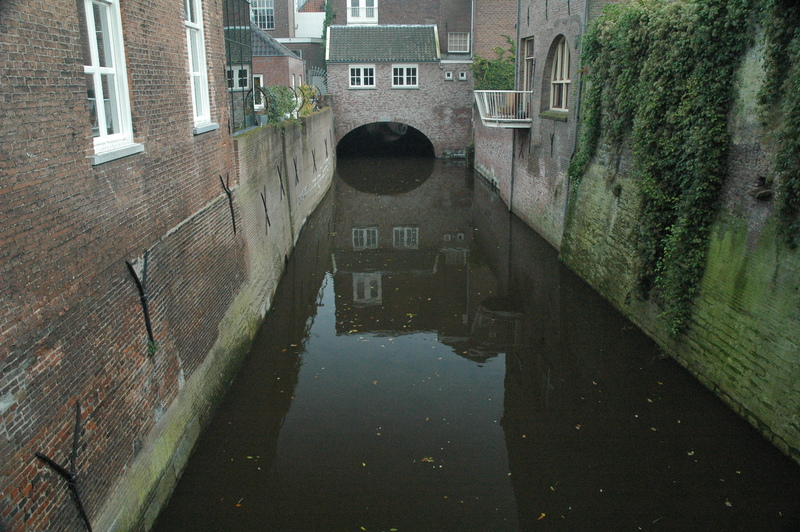 Canals flow throughout the city – the “Seventeenth-Century Ring Area of Amsterdam inside the Singelgracht” is a UNESCO World Heritage Site. Elena and I found another Bagels & Beans, so we admired the view of both the canal and the man who lived in a flat above the restaurant (okay, only I did this) while we inhaled bagels. 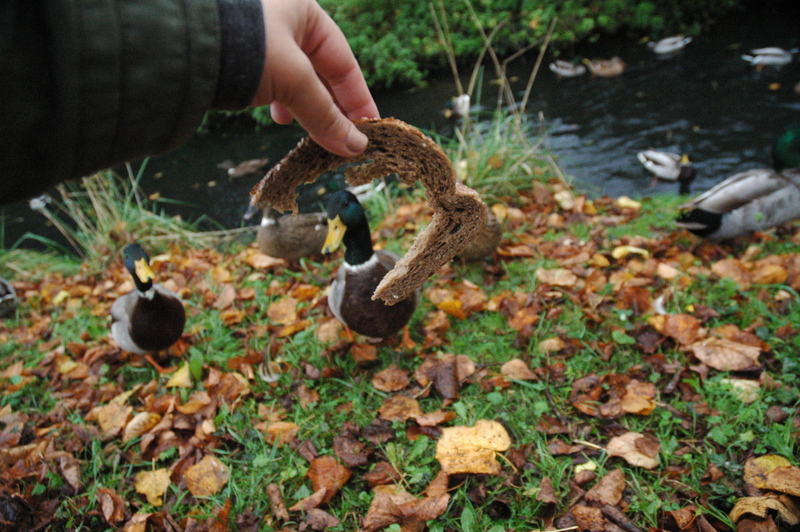 Our friendship was founded on our mutual love for food. 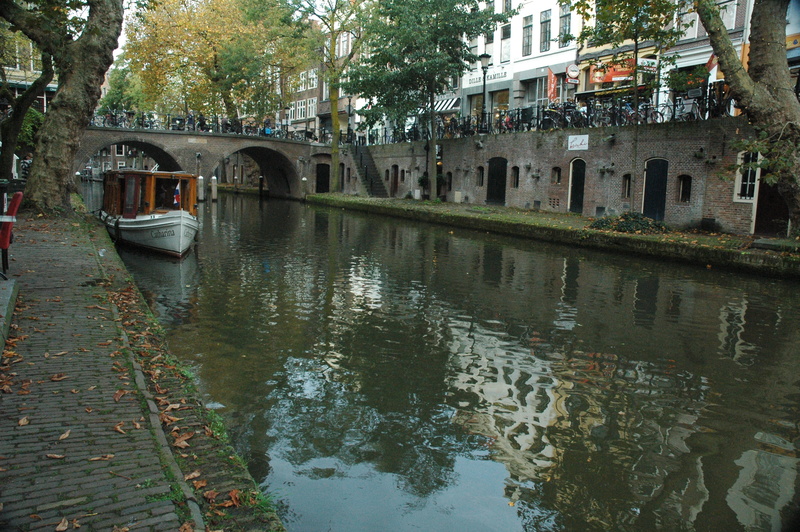 One of the most famous areas in Amsterdam is the Red Light District (Rossebuurt). 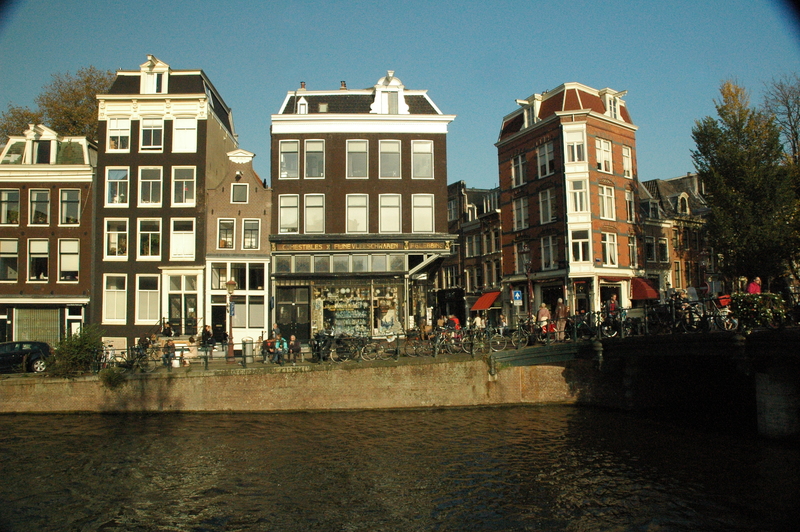 Amsterdam is no doubt a very liberal city, so my very liberal self enjoyed most of the atmosphere. The Red Light District, however, upset me greatly. Within seconds of stepping foot into the area, we saw two men unabashedly stroll in for what they presumed to be a good time. If anyone knows of any good anthropological ethnographic studies about this population, send them my way. Oh, and if any of my students are reading this – no, I did not smoke weed. Drug-free, baby! Due to financial constraints, Elena and I did not go into any museums. 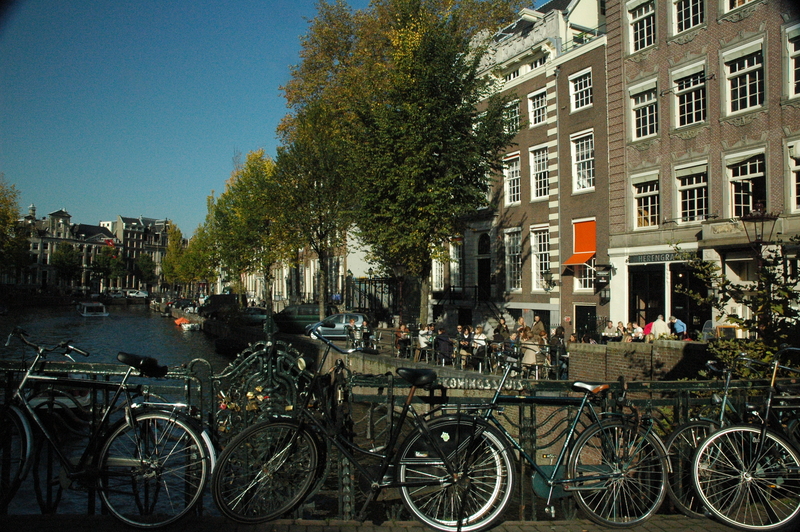 If you are not strapped for cash, Amsterdam offers many famous museums including, but not limited to: Van Gogh Museum, Rembrandt House Museum, Anne Frank House, and the Rijksmuseum. 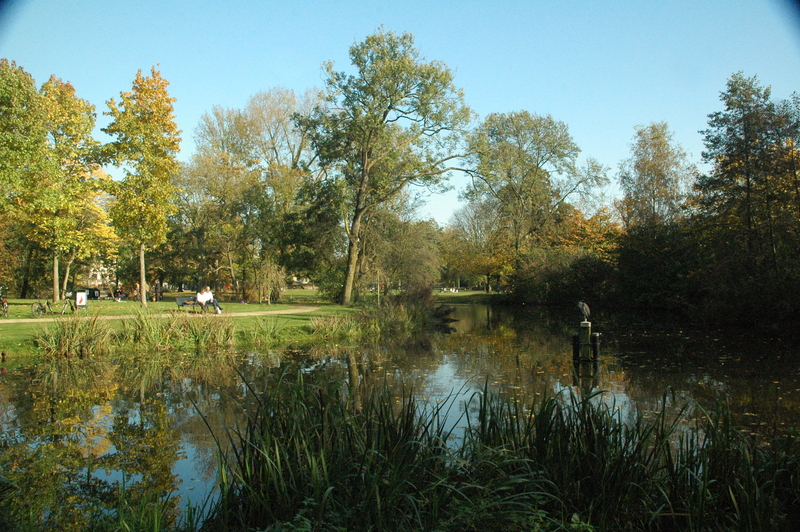 Elena and I enjoyed free things like walking around the lovely Vondelpark and sitting by one of the canals. While sitting on a dock, we were motioned by a boat full of all men to join them. Yeah, how about no. 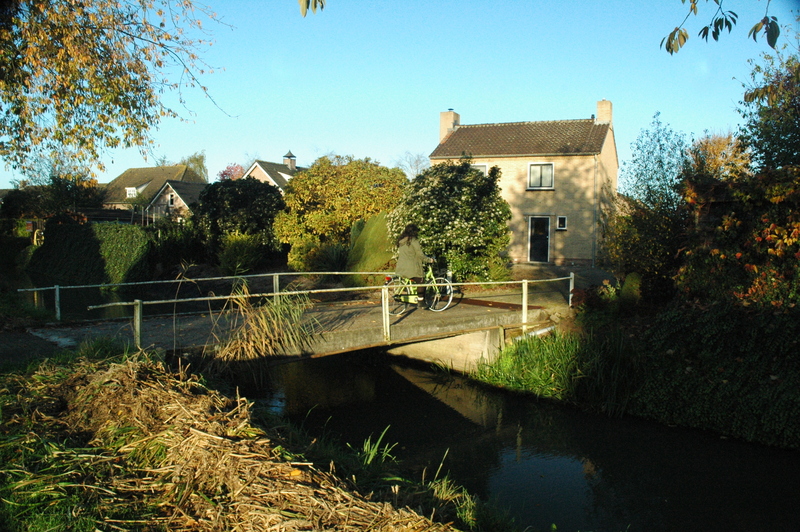 My last morning in the Netherlands was spent riding bikes (a life goal). Elena and I once rode a tandem bike on Margaret Island in Budapest, so we figured that we would try putting two people on one bike. Conclusion: It is cuter in movies. 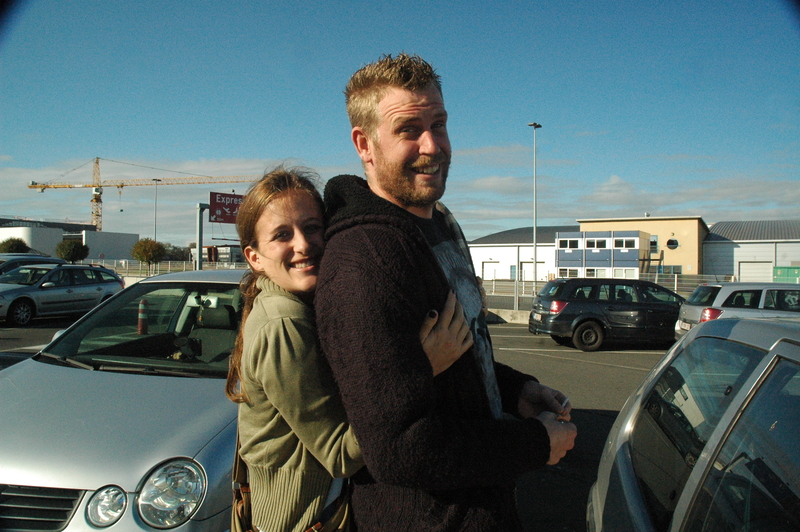 Erik was kind enough to drive me to the airport – located in Charleroi, Belgium. We sang Macklemore, asked our Dutch expert questions about his country, and talked about food (surprise, surprise). 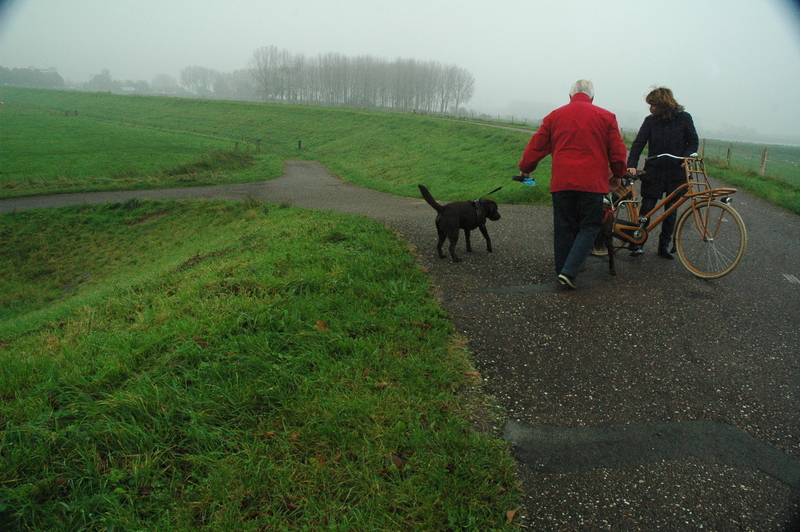 I truly enjoyed my time in The Kingdom of the Netherlands. 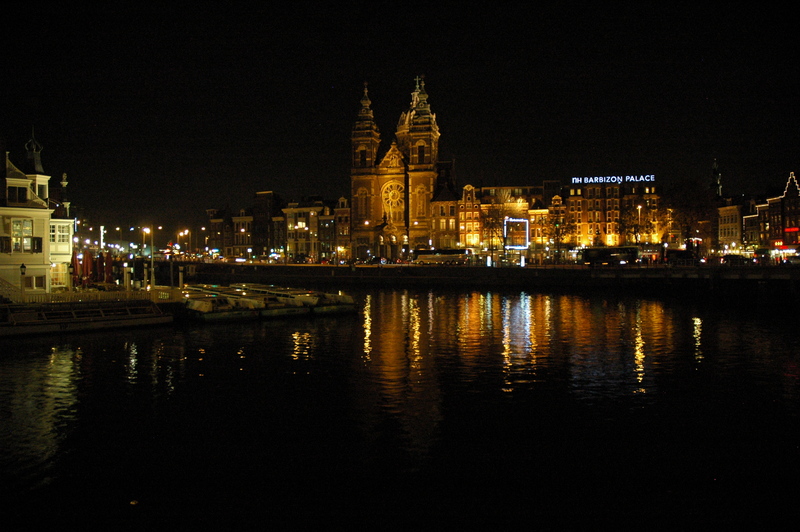 Prior to getting a job here in Hungary, I looked at graduate schools in the Netherlands. 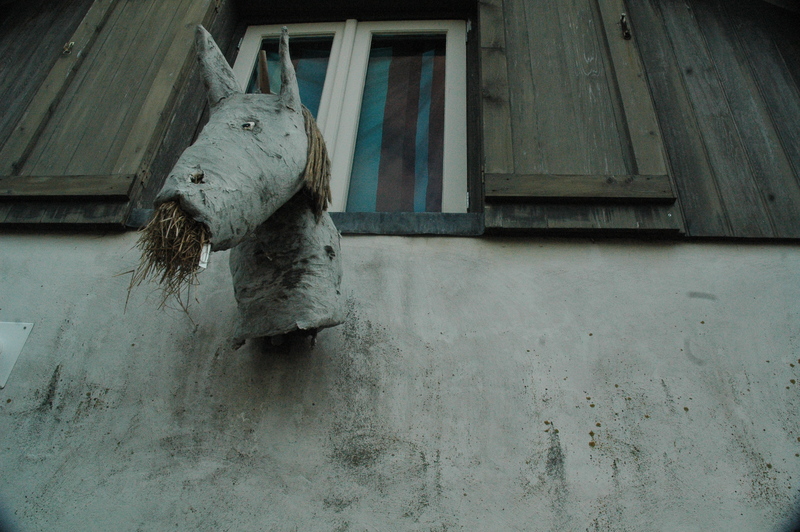 After my visit, I can say with certainty that it is a country I could see myself living in further down the road. Thank you Erik and Elena for taking care of me – I miss you guys! Oh, and I ate Papir Tigris in your honor yesterday. A Lesson From Miss Jennifer: Save more money before embarking on a big vacation.